The Kawartha Komets Special Needs Hockey Program is pleased to announce that the Kinsmen Club of Peterborough has agreed to be one of our proud sponsors. We look forward to our partnership with the Kinsmen Club of Peterborough and appreciate the excellent work they do in our community and area. The Kawartha Komets will participate in the Santa Claus Parade in Peterborough on Saturday, December 4th beginning at 4:45 p.m. 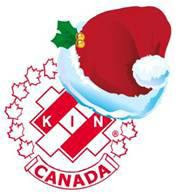 This is the 37th Annual Santa Claus Parade, sponsored by and convened by the Kinsmen Club of Peterborough. Thank you, local Kinsmen, for your vote of confidence and your desire to partner with us. We are very proud to support your fine work ! Game on !!!! !